A tremendous turnout of ten ladies competed in the Kent Counties Athletic Association cross country at Welling on Saturday. Becky Macey, enjoying her first season, finished in 15th place in 18:28. Consistent and impressive running sees Becky 10th in the league. Elodie Paviot was next home in 54th with 20:26. Christine Costiff was 1st in her category on the day (21:25) and is 1st in the W55 table. Rhian Shrimplin had a strong run to finish 79th with 21:47. Gill Pragnell was 85th (22:02). Gill O’Connor came in 2nd place in the W55 category with a time of 22:15. 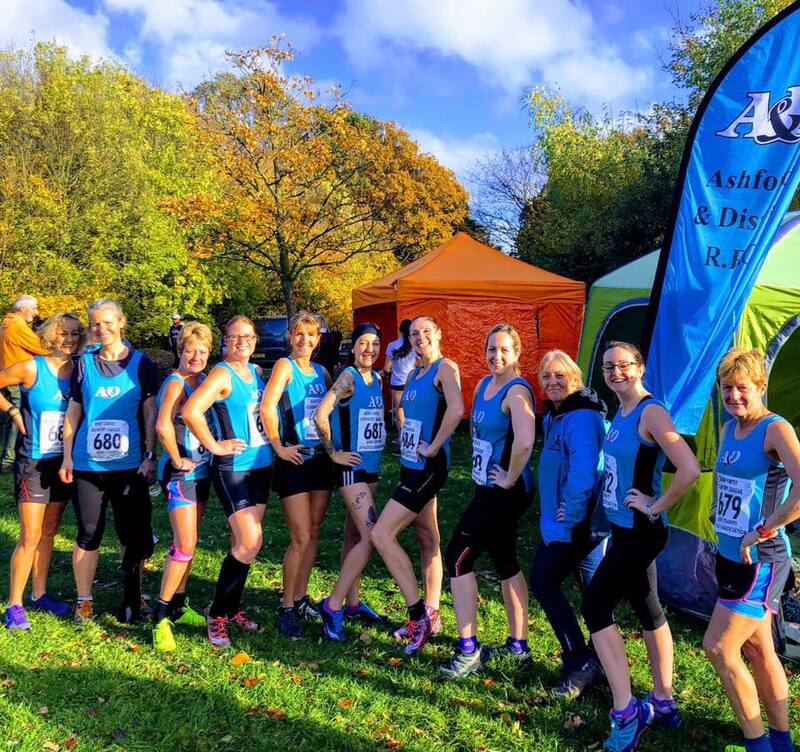 Claire Green 106th (23:03), Sandi Mortimer 123rd (23:55), Lucy Johnstone 139th (25:48), Lisa Jones 152nd (27:20) and Sue Reader 153rd (27:35), all contributed to A&D being placed 10th overall in the 3 to score league and 6th overall in the 6 to score. In the masters competition Mike Davies continued his impeccable form with another first place with a time of 20:08. There were a number of events held to commemorate Armistice Day and A&D runners were out in force. 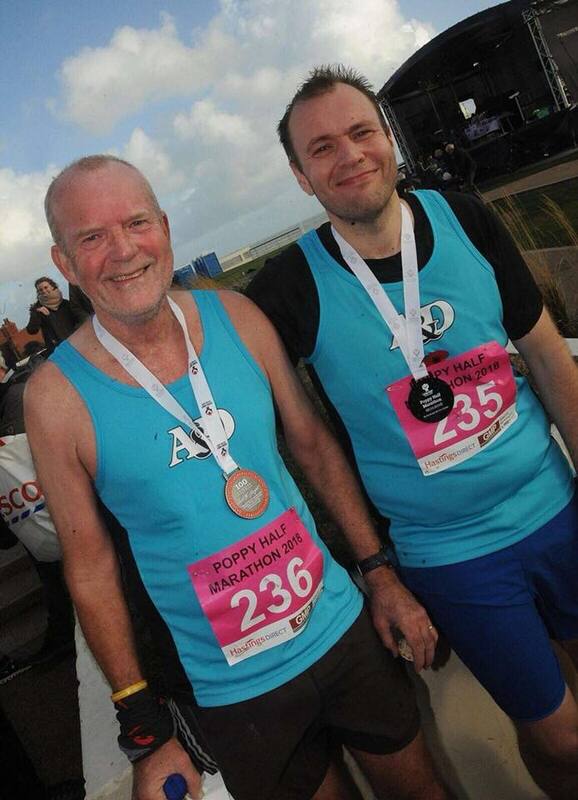 The Poppy Half Marathon was held at Bexhill with Ricky Hickman first club runner home 113th place in a time of 1:45:57, followed by Steve Hickman in 185th with a satisfying 1:55:31. Other runners included; Will Whittington 211th (1:58:05), Keith Lynn 245th (2:01:35), Filliz Salah 365th (2:17:50) and Mark Boorer 366th (2:17:50). Becky Hodgson ran both the Battle of Britain Challenge and Armistice Challenge Run completing two half marathons in two days over demanding courses in testing conditions. 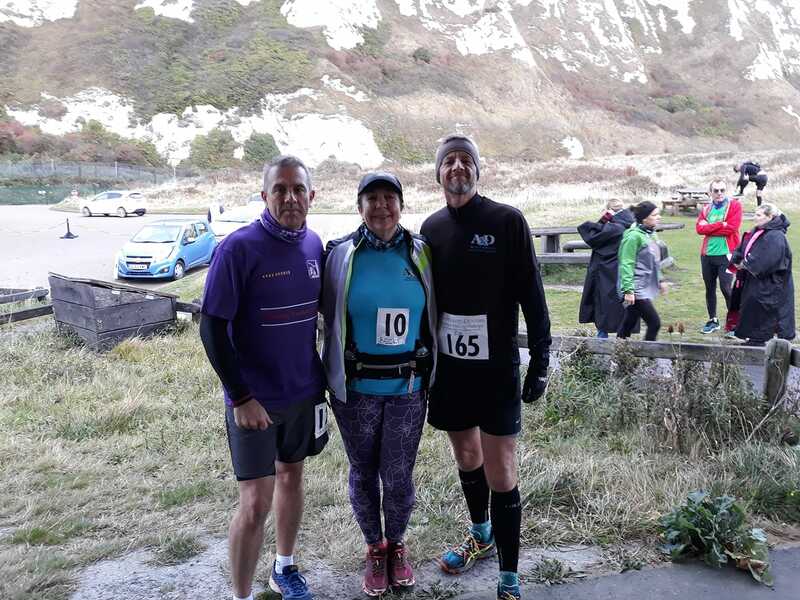 The Battle of Britain Challenge also saw endurance specialists Mark Attenborough and Rik Holden covering 33 miles in 6 hours and 28 miles in 4 hours 21 minutes respectively on a hilly course based around Samphire Hoe on a wet and windy Saturday. Ashford Park Run saw the 8th fastest time in country on Saturday club members Trevor Kay 3rd (17:41), Carl Jones 5th, Jon Wells 6th with a personal best time of 18:17, and Dan Green in 7th, gave A&D a strong presence in the top 10.